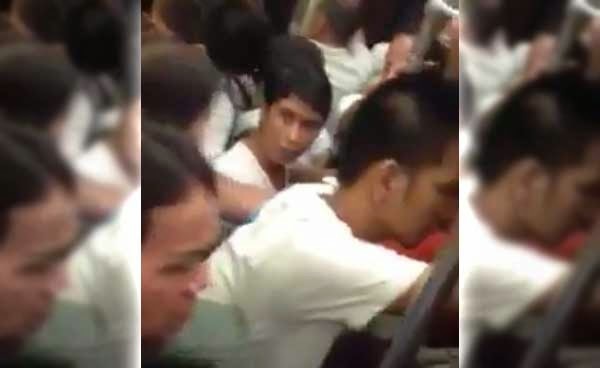 A video showing an angry woman berating her co-passengers inside a wagon at the MRT has gone viral on Facebook. Is she "another amalayer?" The viral video was posted by the Ayos Dito Dre community page last Wednesday, October 8. It has already garnered over 100,000 views and thousands of likes and shares as of this posting. In it, an unidentified female passenger is seen talking with a very loud voice as she exchanges harsh words with some train commuters. At one point, she said her rights have been violated by "a couple." She even threatened to sue and kill them. Some riders tried to pacify the woman and told her not to make noise and do anything scandalous. Others poked fun at her as she continues to complain. A few people urged the security guard onboard to force the woman out of the wagon but she stayed, claiming that she got inside the train ahead of everyone else. What triggered her bad temper is unknown, but it is obvious that she got even more irritated with all the teasing and bullying made by her fellow passengers. Post by Ayos Dito Dre. Is it right to label her as "another amalayer?" Do people have the right to judge her? Share your thoughts!